Color-coding helps you visually identify the right sorbent for your needs. Gray signifies Universal sorbency. 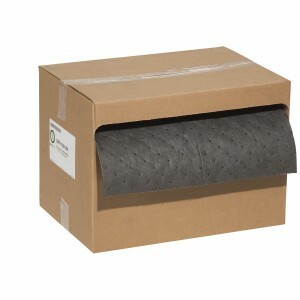 Dispenser box protects Roll for grab-and-go ease.